It’s always nice to gather together with lots of like-minded Catholics from around the country and even the world. We weren’t meant to be islands unto ourselves. We need community and we need fellowship and we need each other to learn how to live our faith the way it was meant to be lived. I asked my confreres to help me in compiling a list (non-exhaustive) of some need-to-know Catholic or pro-life gatherings for young and old alike around the country, no matter the time of year. If there’s one in your area, or not, get yourself there and get to know other members of the Body of Christ! Some have already occurred this year or late last year, so be sure to stay tuned for future dates. If you know of any more gatherings, conferences or shindigs, add to the list in the comments section and share! Every January, hundreds of thousands of pro-lifers descend into the nation’s capital to witness for life at all stages from conception to natural death. The most recent march even welcomed speeches from senior advisor to President Trump, Kellyanne Conway, and for the first time ever, a sitting Vice-President, Mike Pence. “By deepening and enriching the faith of thousands of Catholics and non-Catholics each year, through Catholic conferences, parish events, webinars, bible study, and our book and gift store, Fullness of Truth™ fulfills its MISSION to promote and share the inestimable gift and irrefutable truth of the Roman Catholic Faith with all. Though with sincere charity and reverence, as in the spirit of 1st Peter 3:15. We are delighted to serve the Church in the work of the New Evangelization. Various times and places throughout the year. “Mission: Bringing to light the truth of the teachings of the Catholic Church and igniting in all hearts a love for the Faith. “SEEK is an invitation to college students everywhere to explore life’s bigger questions: who we are, where we’re going and what we seek along the journey. 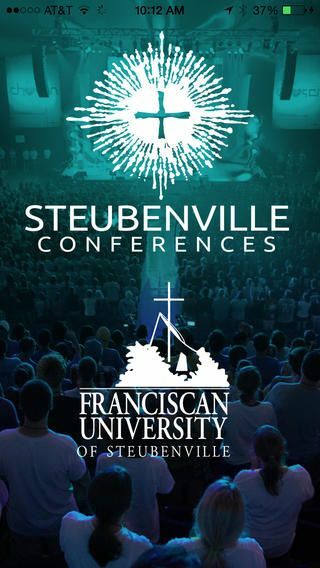 As FOCUS’ national conference, SEEK encourages all students to come explore what they truly seek: to learn about the faith, to share in friendship, to be encouraged in their unique vocation — and to experience the love, hope and very real presence of Jesus Christ through His Church. “The Onething conference is a gathering of young adults who have purposed in their hearts to live with abandonment and devotion to Jesus. We invite you to join 20,000 young adults in Kansas City this December to encounter Jesus through extended times of worship, teaching of the Word, and ministry in the power of the Spirit. Held in conjunction with John Paul the Great Catholic University and the St. Paul Center for Biblical Theology, the most recent conference, the 14th annual, addressed “The Book of Acts: How the Holy Spirit Leads the Church Through Hard Times.” It featured Scott Hahn, Michael Barber, John Bergsma, and John Kincaid. “MISSION STATEMENT: The Abbey Youth Festival is an apostolic service of Saint Joseph Abbey and Seminary College. It is designed to provide young people with an opportunity to experience a day of prayer and faith formation with an exposure to the Benedictine tradition. Its focus is evangelization and vocational discernment by means of Liturgy, prayer, worship, music and education appropriate for Catholic young people ages 13 and up! “In a distinctly Catholic setting the National Catholic Youth Conference invites participants to: Encounter Christ. Experience church. Be empowered for discipleship. An apologetics conference. 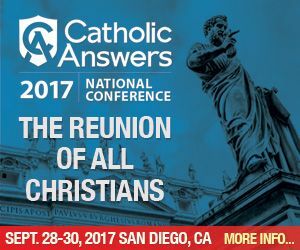 Join special guests Steve Weidenkopf, Devin Rose, along with Cy Kellet, Tim Staples, Jimmy Akin, Trent Horn, Karlo Broussard, and Christopher Check for Catholic Answers 2017 Conference, The Reunion of all Christians. “YOUTH 2000 began as a result of the Holy Father’s call at World Youth Day in 1989 in Compostella Spain for a decade of Evangelization of young people leading up to the New Millenium. A young Englishman, Ernest Williams, was inspired by the thought of having thousands of young people gathering around Jesus in Eucharistic Adoration. “Jesus is Lord! Scripture tells us ‘no one can say Jesus is Lord except in the Holy Spirit’ (1 Cor 12:3). It is this current of grace – baptism in the Holy Spirit that unites all of us in the Charismatic Renewal. “The Edel Gathering’s mission is to provide women with spiritual refreshment through good wine and bad karaoke. This event was started by Hallie Lord and Jennifer Fulwiler after they found that they were yearning for an event that would connect them with their sisters in faith in an environment that was all about letting loose and having fun. A conference for the lay man and his particular vocation as a husband, father, and Catholic. See this great article from Alex Hey for the info on this epic experience. Keep checking the page for 2017 dates. Now grab a friend, go out and find a conference, and stay Catholic!